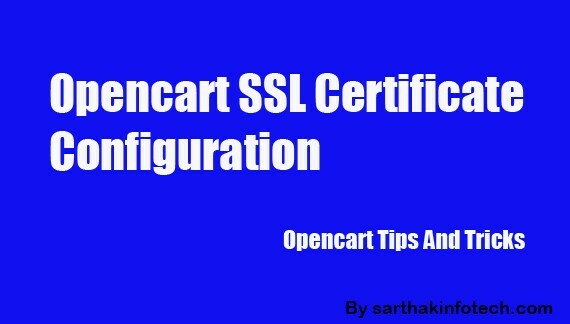 HOW TO CONFIGURE SSL CERTIFICATE FOR OPENCART ? for accepting payment through your opencart based e-commerce site for secure transactions it is advised to enable and ssetup SSL certificate. It is required to follow number of steps to enable the SSL certificate. - opencart theme installation and configuration. Copyright © 2017 Sarthak Infotech All Rights Reserved.